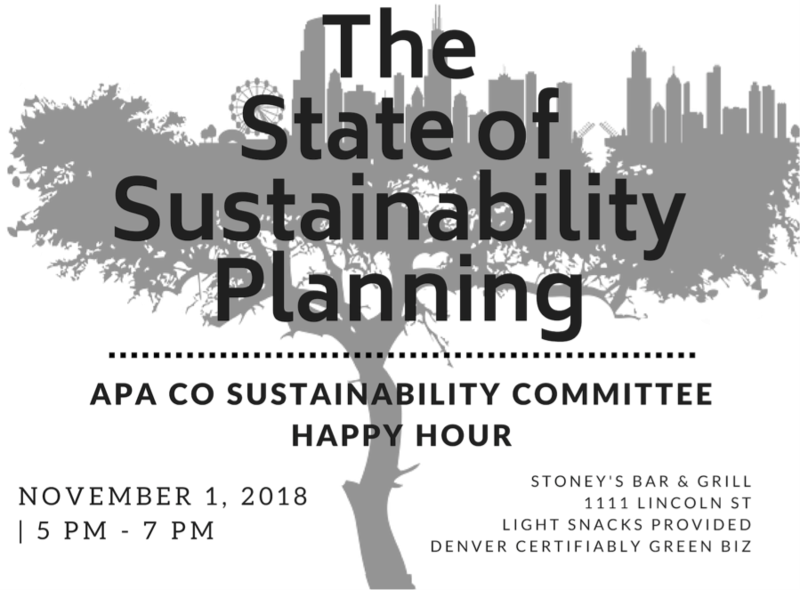 Join the APA CO Sustainability Committee for a Happy Hour discussion of the State of Sustainability Planning in Colorado. The event will be at a Denver Certifiably Green Business, Stoney's Bar & Grill! The discussion will be based on a survey project through the Colorado Center for Sustainable Urbanism that asked municipalities in the DRCOG region about their processes for sustainability planning.